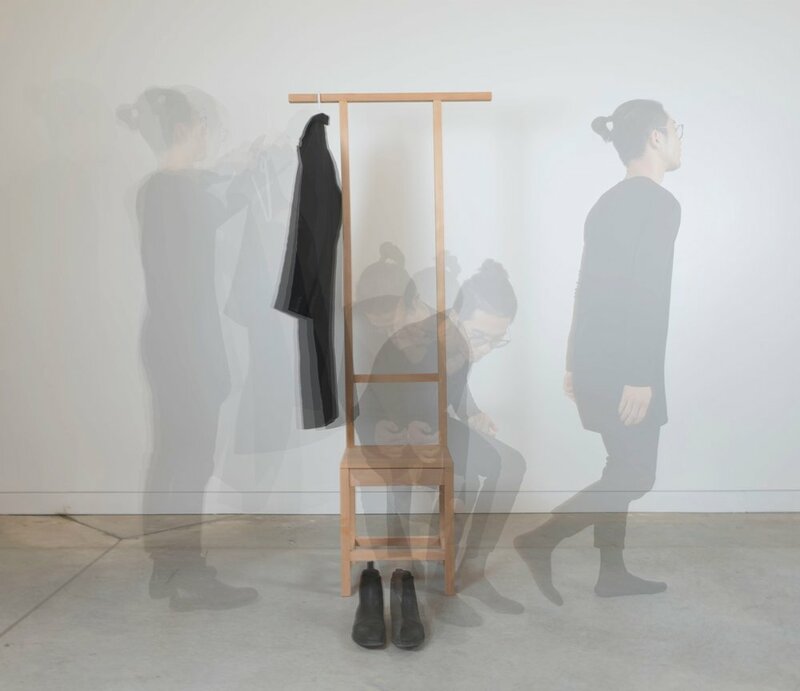 This chair is designed with the notion to add functionality both as a clothes hanger and a shoe changer. 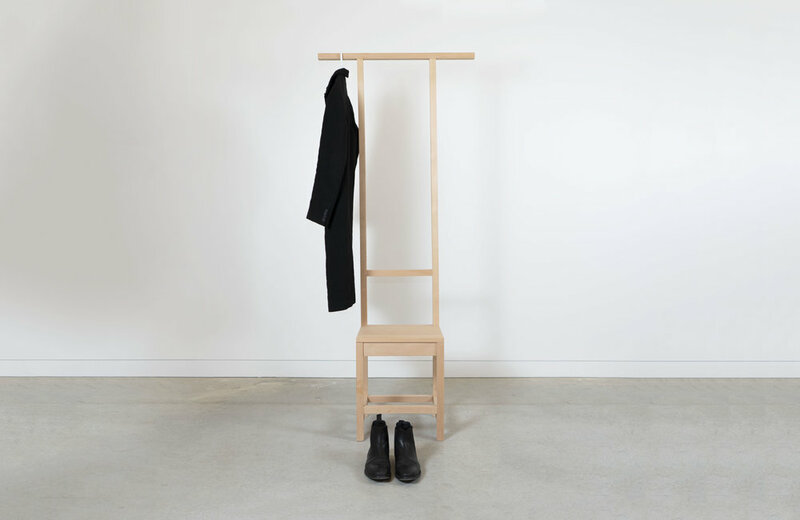 This chair started with the notion to add functionality both as a clothes hanger and a shoe changer. I wanted to design a chair with minimum design language, while emphasizing proportion and efficiency. In early sketches and models the top bar was not as long and by improving the length increased ease of use. It was also surprising to receive feedback on the Chinese influence of this chair while it was not intentional at all. I chose North American beech as the material not only due to its rigidity but also because it is a very renewable wood. The juxtaposition between a material that is iconically Scandinavian and a form that is seemingly traditional Eastern inspired creates a fresh vibe for the modern living environment.